For most of us, the Blizzard of 2013 is a minor inconvenience and a bit of an adventure. 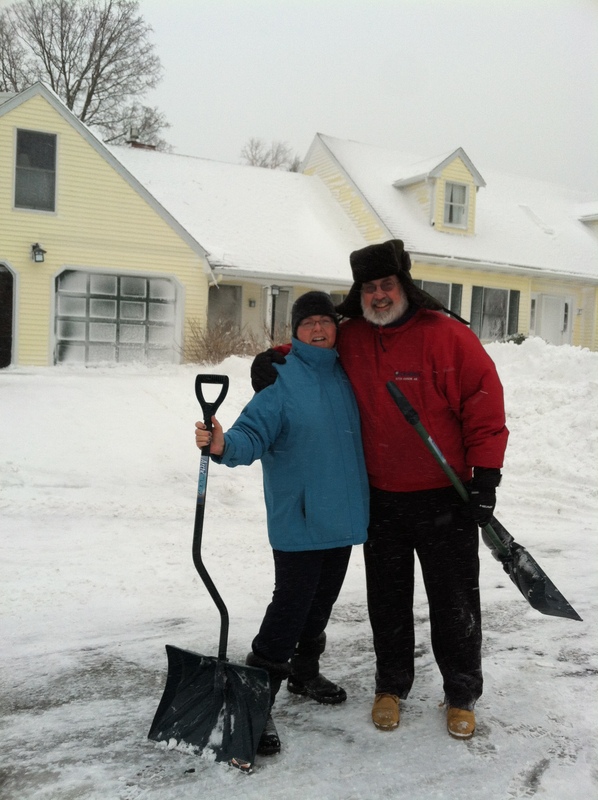 Dennis and I had to do about 30 minutes of shoveling, but are fortunate to have power. Some parts of our town are experiencing flooding, but our public works and emergency services employees are doing their best to keep things running smoothly. I made this video this morning of high tide at Short Beach. The audio’s a bit tough to hear due to the wind, but you’ll note the excellent job our DPW has done keeping the roads clear. Our 56 and 60 year old backs are very grateful to the guys who plow our driveway. They were here late last night and early this am, sparing us the monumental task of shoveling the driveway. The winner, however, of today’s storm heroes award are the staff at Brooksby Village where my Dad lives. He’s got Alzheimer’s and lives on a skilled nursing unit. See the note below from the manager about their storm response. We’re sending a thank you gift to the staff, but you seriously can’t thank people enough for this type of dedication. I write a lot here about employee engagement and customer service. These people seriously set the gold standard. Thank you Todd, and all of the wonderful people who work at Brooksby! Sending you a quick update that we are continuing to manage through the day. For the most part, all is going well. We had 41 staff members from Continuing Care sleep over last night. Many of those staff that worked last night are unable to get home and spending today sleeping so they are well rested for work later. So lots of tired but very committed people. Our day started by seeing our team of 6 culinary staff walk through the front door at 5:30am ready to start a long day of feeding 200 residents and lots of staff. Those nursing staff that didn’t sleep over have done a great job getting to the facility despite the challenging commute and buried conditions at home. The leadership team that arrived to support the storm yesterday morning is still here and plans to stay as long as necessary to keep things running smoothly. Many of our housekeepers have stayed the night and are helping to support the residents today. We are all pitching in to work the dining rooms and ensure our residents still have activities to attend throughout the day. This is shaping up to be a pretty special experience to be a part of. Hope you are all safe.